We like to call ourselves Feng Shui architects in the sense that our approach to architecture and planning is highly influenced by the art and science of Feng Shui as practiced in ancient China. However, Feng Shui in the West has developed a very negative image over the years, due to inadequately trained consultants and many badly written books on the subject flooding the market, to satisfy the New Age fad attached to Feng Shui. Our approach to Feng Shui is very different to the popular image and we are not dealing with some mysterious force in some superstitious way. 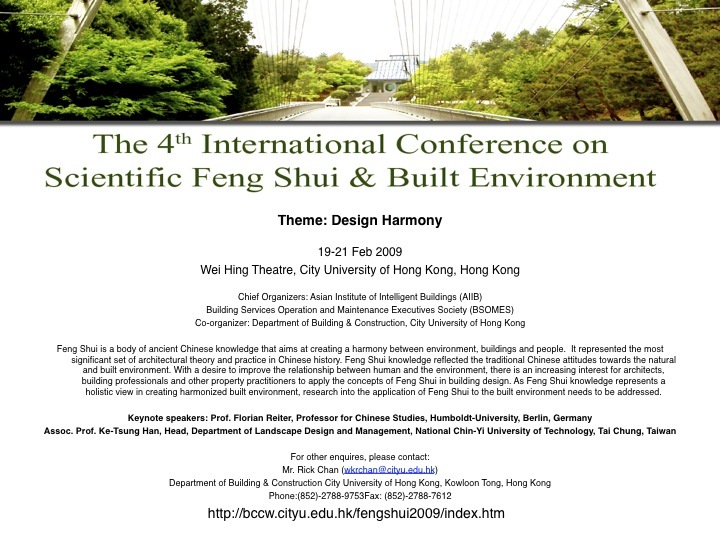 To us, the core content of Feng Shui is in fact essentially the same as the principles used in ancient Chinese architecture and planning; by using Feng Shui we can understand how the architectural space was managed and how the man-made and the natural landscape are integrated in the environment in the past. Feng Shui to us is a multi-disciplined and unified architectural theory that incorporated many other fields of study, such as the study of geography, ecology, psychology, cosmology and philosophy etc. It is a Chinese cultural phenomenon that we can draw many useful lessons from, if we can study it in its un-corrupted form. With Feng Shui, we can learn from the past to serve the present and we can integrate the teachings of the East with the West, to produce a universal architecture and an environment that is not only practically efficient, but also emotionally and spiritually satisfying as well. By spiritual, we mean Nature and Man are unified and no longer in conflict with each other, because the object we produced is true to itself (“ziran” in Chinese) and goes with the flow of things (“wuwei” in Chinese). 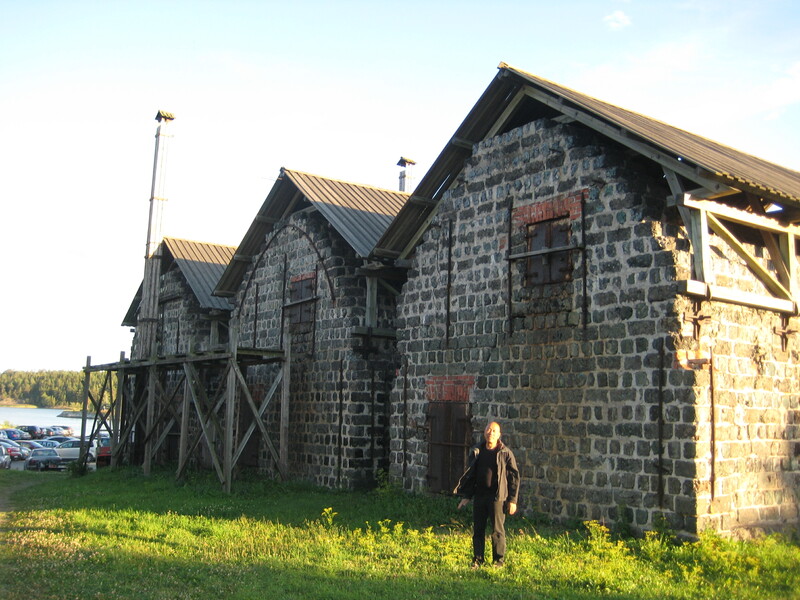 We saw a group of iron factory sheds preserved from the 1800s in the Taalintehdas Harbor today and wondered what makes architecture like this survived the ravage of time? Location? Material? Solid construction? Unique Design? Representation of a certain period of time? or just plain Luck? Whatever the reasons may be, we are glad that they have survived, they must have good Feng Shui, able to “ride”, or “cheng” the Sheng Qi (living qi) of time!